This page is for those who are new to the world of whisky. 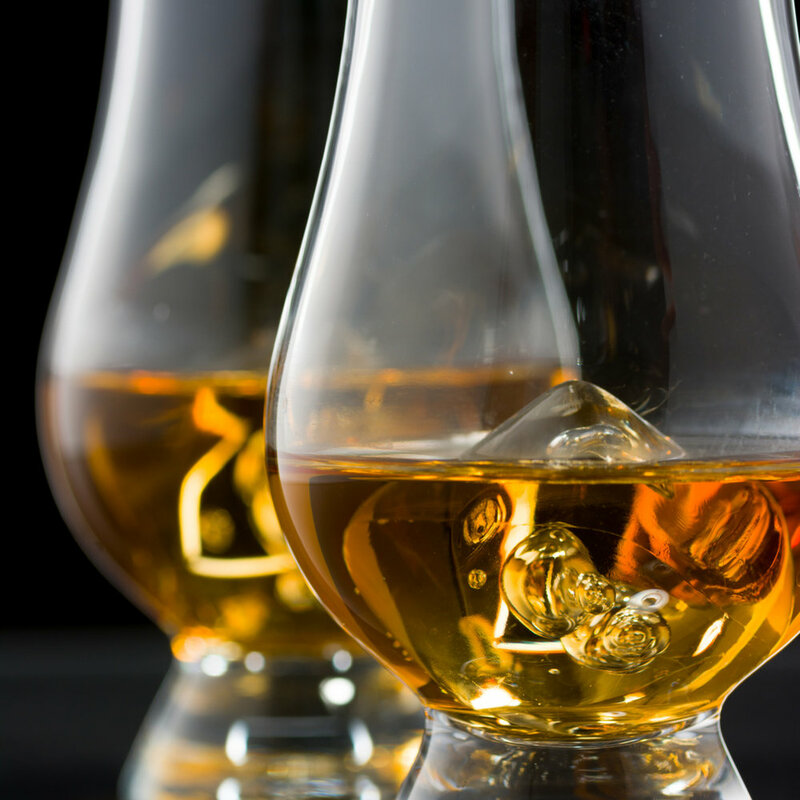 Learn about the whisky-making process and whisky-related terminology. Please feel free to send us whisky-related topics to explore here. We commence with the two simplest truths about whisky, no matter how you spell it, where you make it, what goes into it, and how you mature and bottle it. First, the “right way” to drink whisky is however one enjoys drinking whisky. Second, what makes a whisky a “good whisky” is simply whether one likes it. From there, one gets into preferences. Within preferences one has an amalgamation of facts, analysis and opinions. We now get into my thoughts and opinions on adding water, with a fact or two referenced for clarity. In order for a spirit to be called whisky or whiskey, it must be aged a certain period of time in wood barrels and have an ABV of not less than 40%. Adding water to a whisky that has been bottled at 40% ABV of fact lowers the ABV below 40%. Adding water to any spirit, including whisky, changes the chemistry of the liquid. (The above are facts: below are opinions). I believe that adding water to whisky should be done, or not, on a case by case basis. I have enjoyed whiskies bottled at over 60% ABV as well as at 40% ABV. Some high ABV whiskies have noses that defy the alcohol levels and make one question if one really wants to alter the whisky makers’ selected affect on the consumer’s senses. Likewise with mouth feel and flavor impact of adding water. It depends on a number of factors. Regarding the nose of a whisky, I add water if it seems there should or could be more present (or “going on”) than what I get after first nosing the whisky after it has stilled after being poured and resting a moment followed by giving it a swirl and nosing it again. I will usually taste the whisky without water because I feel it should be tasted as intended. From there, it is time to add water to experiment with the nose, texture and flavor to meet one’s preferences. Or not, if one likes it exactly as it is. I employ a pipette, a straw or even a bottle cap for adding water. There is a good level of truth to the notion that more water is used with higher ABV whiskies. For example, the Aberlour A’Bunadh is a go to when I want a sherry bomb. It is generally bottled around 60% ABV. I find the alcohol vapors and burn disperse and the nose and palate expand with a small bottle capful of water in a pour that is to the widest part of a Glencairn glass. On the other hand, I don’t add any water to a Chivas Brothers Cask Strenth Edtion Glenallachie 14 (57.3%) or The Distillery Reserve Collectors Cask Strathisla 17 cask strength at 57.9%. They just don’t need the water, I concluded after experimenting with a few drops from a pipette with my first drams of each. The question about adding water to whisky assumes more significance and has a potentially larger impact as the ABVis lowered. Whiskies bottled at 46% to 50%tend to stand up well with a few drops to open them up. I typically limit a 46% ABV whisky to 3 drops of water from a pipette. Every now and again, I may add a drop or 2 more if I feel it will enhance my enjoyment of the whisky. With lower ABV whiskies, if you want to try to open it up, use a pipette and start with adding a drop of water at a time, nosing and tasting each time..you can always add more, but you cannot take any back. Adding ice to whisky is generally frowned upon because ice tends to reduce rather than enhance or release flavors and aromas. However, if one likes whisky with ice, go ahead and enjoy it that way. I enjoy a small ice cube in a whisky to cool the liquid and to mellow a strong alcohol influence, especially with many younger, often American whiskeys. You are thirsty. You're going to have a glass of a liquid substance. Juice. Water. Soda. A cocktail or a refreshing glass of whisky. How much thought do you put into the container from which your beverage will be consumed? I cannot say that except for going for a huggie/cozy on a bottle, choosing glass versus plastic, insulated or not, it was something I had thought about greatly. That is, until after I became a whisky drinker. One of the most important triggers to developing an appreciation of a good wine, a good ale and especially a good whisky is how the aroma stimulates the rest of your sensory system. For winemakers and whisky makers, and for those who serve the libations, having a good nose is paramount. I can appreciate some of my friends laughing because no one has ever accused me of having a good nose, physically, but I do have a rather strong and keen sense of smell, which has not always been a good thing, but certainly is when it comes to libations. Pictured below is a fairly comprehensive sampling of the types of glasses in which one might find whisky/whiskey served. I realize that I have only one item of stemware photographed and that stemware can be quite interesting and varied. However, the standard I remember as a child is the classic round "rocks" glass in which my parents and grandparents would have their beverages, usually on ice. I have vague memories of my grandfather using the rocks glass with the gold rim pictured on the left. This glass is from my grandparents' set. However, much has changed over the years with respect to how whisky is served. As you move from left to right across the photograph, you see an assortment of glasses, some with interesting curvature and flares, reminiscent of a womanly shape (e.g., the Jura and Bowmore glasses, front row); glasses which are as round and large as stemless wine glasses, which curve narrower to a still large opening (e.g., the Ardbeg and Glenmorangie glasses, second row): and the right side of the photograph is dominated by what are considered standard today, variations on the form of the Glencairn glass (the classic Glencairn is in the front, a glass purchased at Strathisla, slightly larger and wider than the Glencairn glass, is in the second row, and smaller versions of the Glencairn from Dalwhinnie and a tasting event are at the end)). The most recognizable features of the Glencairn glass are the bulbous bottom flaring in before opening at the top. The design allows a good portion of surface to air contact to be followed by concentration of the aromas at the nose of the drinker. The Balvenie Distillery gives significant credit for the creation of the Glencairn glass to its legendary Master Distiller, David Stewart. I suggest you contemplate this: like wine, you want to be able to get your nose into it a little bit to appreciate the concentrated aroma of your beverage. If you have never experienced a libation that has stimulated your salivary glands and has you yearning to taste the libation, you have never lived fully.. Okay, that is a bit of an exaggeration, but you get the idea. Before you just drink something, smell it. Let it stimulate and then refresh you. Fully experience and enjoy the beverage. While I do not consider myself a true expert on the subject of whiskey or whisky, I do consider myself a bit more versed or experienced than the average bear. However, as some people may not appreciate, the world of whisky/whiskey is pretty vast and growing worldwide. Whisky or whiskey (to learn about the difference between the two spellings, see Whisky vs. Whiskey) is any distilled and barrel aged spirit made from a distilled grain mash, typically aged in the barrel not less than 2 or 3 years. The style of whisky/whiskey typically depends upon the type of grain that is used and where and how the spirit is prepared, though there are certain characteristics that can be attributed to certain regions and styles of whisky/whiskey making. Perhaps strongest examples of this are the peated, smoky flavors of Islay whiskies in the southwest of Scotland and the sugar maple charcoal filtering of Tennessee corn mash whisky. I fell in love with Scotch whisky in 1991, with The Glenlivet 18. By 2007, when I opened my own law practice after 17 years in firms, I had developed a strong appreciation for whisky/whiskey. I learned about the different grains used in the mash and the blending of spirit distilled from different grains (a blended whisky) versus staying strictly with barley spirit (vatted malts or blend of malts) and/or barley spirit from one distillery (single malt), how much corn goes into the mash of an American whiskey, and the like. I learned that my favorite is barley malt whisky. The masters of barley are the Irish and the Scots. The Japanese and Indian whisky industries have blossomed and use barley aplenty and are very good. Other representatives from across the globe using barley for their spirits include France (see my thoughts about Brenne), Taiwan (Kavalan) and the USA, and all represent well. The predominately corn mash spirit aged in virgin American oak barrels that becomes Kentucky Bourbon, bourbon, and Tennessee whiskey are sweeter than Scotch whisky and are a classic American flavor. Bourbon has become very interesting as the distillers are aging their whiskeys longer and barreled experimentally for new flavors and finishes. Bourbon is a very well respected and appreciated whiskey worldwide and has been for generations. And then there is rye whiskey. In the USA, the mash must contain 51% rye to be called rye whiskey, whereas Canadian whiskey has no requirement for the percentage of grains in the mash. Rye whiskey tends to be drier and less sweet than bourbon and many older cocktails that now use bourbon initially called for rye. Because rye grain is readily available and the spirit typically is not aged as long as barley, corn, and wheat spirits, many of the new craft distilleries are producing rye whiskey for their earliest offerings. I simply have not developed a taste for rye whisky. A friend whose opinion I respect greatly, said there are some great ryes I would like, but he suggested a cost that makes me say, "For that price, I will have the Highland Park 30." In my mind, the best thing to do with rye is to make bread with it. For these reasons, I do not and am unlikely to write about rye whiskey. Learning and expanding one's palate in the world of whisky/whiskey can be a fun adventure. I've learned that I appreciate Scotch and Irish whisky/whiskey first and foremost, with a good bourbon being nicer with certain types of food, particularly stronger, heavier flavors like spicy foods and barbecue or in a cocktail. I hope that what I share from my journey in the world of whisky and whiskey helps others find an appreciation for the water of life in its various forms. 1. Malting - Malting is the process of wetting the barley kernels with hot water and letting the barley start to germinate (start to develop little shoots from the kernels). Malting is when the starches in the barley start to convert to sugars. Malting generally takes 8-12 days during which the barley is turned at regular intervals to ensure it is germinating evenly. Most distilleries outsource their malting to large commercial malting houses but a few still malt a portion of their barley in-house. Germination is stopped at a certain point by drying the barley in an oven called a kiln. Peat is sometimes included as part of the heat source used to dry the barley which adds a distinctive smoky taste to the end product. 2. Milling - After the malted barley is dried it is ground in a mill. Ground malted barley looks like flour and is called "grist". Grist is made up of three different components of the result of the milling. These are the husks (~ 70%), the Grits (~20%), and the Flour (~10%). 3. Mashing - Mashing is the process of adding heated water to the grist to extract the sugars from the ground barley. This process occurs in what is called a "mash tun". The grist and water are mixed together and then the liquid containing the barley sugars is then separated from the grist through small drainage holes in the bottom of the mash tun. This sugary water is called the "wort". The remnants of the wet grist is called the "draff" and is considered a waste product of the whisky making process. Many distilleries sell the draff as animal feed. The grist is mixed with water three times to extract as many of the sugars as possible. 4. Fermentation - The wort is cooled down and mixed with yeast in a process called fermentation. This process occurs in a big liquid container called a "washback". Some distilleries use wooden washbacks and some use stainless steel. Those that use stainless steel say that there is no difference in terms of the fermentation and the stainless steel washbacks are easier to clean. The distilleries that use the wooden washbacks say that the wood adds a character to their whisky. Ultimately, though, the action of the yeast on the wort produces alcohol and carbon dioxide no matter which type of washback is used. The end result of the fermentation process is a kind of very malty beer known as the "wash" that is about 8% alcohol by volume (ABV). 5. Distillation - Distillation is the process of separating alcohol from water and other substances contained in the wash. Distillation occurs in stills. The size and shape of stills used to make scotch whisky are regulated by law in Scotland. Distillation is an evaporation process that separates the alcohol in the wash from the water. Alochol boils at a lower temperature than water does so the wash is heated and the alcohol vaporizes before the water down. Scotch whisky undergoes two rounds of distillation to increase the alcohol content of the spirit. The alcohol vapors are captured in the neck of the "wash still" and cooled down. The liquid resulting from cooling the alcohol vapors after the first distillation is called the "low wines" and is approximately 20-30% ABV. 6. Aging or Maturation - New whisky is diluted with water to a specified ABV and then placed in casks to mature. The type of cask can greatly influence the taste and color of the mature whisky (we'll discuss this topic in more detail in a separate article). Scotch whisky has to be matured for a minimum of three (3) years on Scottish soil in order to legally be called scotch whisky. Many scotch whiskies are aged significantly longer. How does one spell the word: whisky or whiskey? It depends on where you and where the whisky or whiskey hails from. Generally, the spelling in the Scotland, Wales, Canada, Japan and other countries is 'whisky' and in the United States and Ireland it is 'whiskey', largely due to the influence of Irish immigrants who brought their spirit making heritage with them to America. Of course, all general statements have some exceptions and there are some American companies that use the term 'whisky' on their labels (e.g., Maker's Mark). The difference has its origins in the way the original Gaelic was translated or anglicized from either the Scottish or Irish Gaelic word for water (uisce in Irish Gaelic or uisge in Scottish Gaelic). Distilled alcohol was known in Latin as aqua vitae ("water of life"). This was translated to uisce beatha in Irish Gaelic and uisge beatha in Scottish Gaelic. Both mean "water of life". The plural for the words differ as well. The plural of whisky is 'whiskies', however the plural of whiskey is 'whiskeys'. You never want to write 'whiskey' in Scotland or 'whisky' in Ireland! It can be a little confusing but as long as you remember that US and Irish whiskeys have the 'e' and the rest don't you should be fine. Scotch whisky is simply a spirit brewed, distilled, and casked in Scotland, just as Irish whisky is a spirit brewed, distilled and casked on the island of Ireland, whether in the Republic or Northern Ireland. While Scotch and Irish whiskies can be made of any grain, barley and wheat are the prevalent grains used. For Irish and Scottish made spirits to be considered whisky, they must be aged a minimum of 3 years in oak barrels. Bourbon is whiskey made in the USA from mash that is at least 51% corn and aged in new oak barrels for a period of at least two years. Once upon a time, a requirement for whiskey to be called bourbon was that it be distilled and casked in Kentucky, but that requirement is now a matter for the history books and bourbon is made throughout the USA. Tennessee whiskey is essentially bourbon that must be filtered through sugar maple charcoal after distillation. Rye whiskey is made from mash that is typically at least 51% rye grain and is most commonly made in the USA or Canada. A "malt" whisky is made of mash from barley that was spread on a floor, soaked with water and then harvested as soon as the barley began to sprout. The drying process employed can greatly influence the flavor of the spirit produced from the malt. A single malt whiskey is made only from malted barley mash from one distillery. If one takes multiple malt whiskies from various distilleries and blends them together, one has a blended malt whisky, e.g., Monkey Shoulder, a blend of malts from the Balvenie, Glenfiddich and Kininvie distilleries. A blend of malts should not be confused with blended whisky, which can be made from any number of grain mash spirits (most typically, barley and wheat) from any number of distilleries. Fine examples of blended whiskies from Ireland are the Tullamore Dew, Jamison's, and Bushmill's brands and from Scotland, The Famous Grouse, Johnny Walker, Chivas Regal and Dewars brands. The age of of a whisky is determined by the time a whisky or blend of whiskies has spent in oak barrels. So, for example, a single malt 12 year old whisky can be made from any number of malt whiskies from one distillery, aged for any number of years, but the youngest of which was matured at least 12 years in barrels before bottling. The "age" of a whisky never changes once it has been bottled. So, for example, one may find a 100-year-old bottle of a 12-year-old whisky. The flavor of a whisky comes largely from the cask or casks employed and the duration of maturation. However, flavor also comes from the water source employed in the brewing, distilling and diluting processes and also from the malt used, where much of the flavor comes from how the grain was dried. The best example of flavoring the malt is using peat fire to dry it, which yields a smoky flavor.